My first day of school came sooner than what’s considered normal. I was only 2. My oldest brother headed to kindergarten and I headed to preschool. Different schools, but I love the fact that we started school the same year. One of the local schools offered a special program — A Preschool for the Handicapped. I went to this program for the three years before I entered kindergarten. 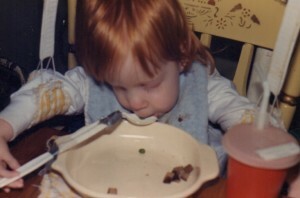 Of course, I don’t remember everything about my earliest years. Preschool gave me a place to be among peers. I was also able to receive physical, occupational, and speech therapies at school in addition to still seeing therapists weekly 45 minutes away from our home. The mission to help me figure out what I could do and how continued. Using arm slings when sitting to allow more movement. Trying adaptive equipment, such as the stander, to give my body a change of position. Designing a kind of feeder so I could eat without assistance (until I grew too tall and could no longer bend to reach the utensil). Painting while sitting by holding the brush in my mouth (until I outgrew that option and moved on to writing, etc. with my fingers). Bumping down our carpeted stairs and loving this freedom (eventually my legs were too long). They constantly tried to teach me to do things on my own as much as possible. 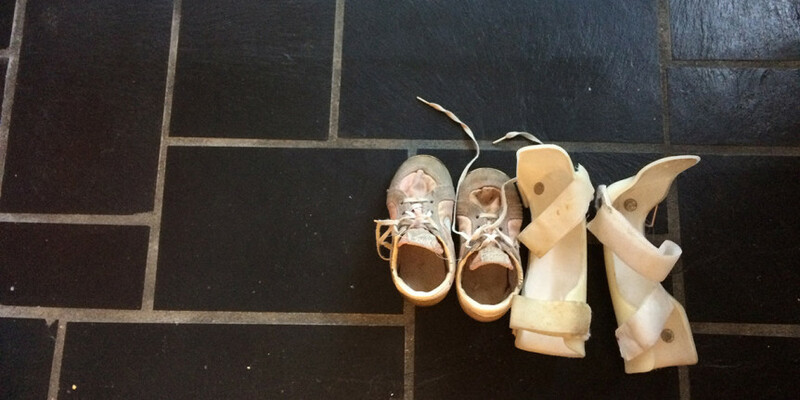 In occupational therapy, they worked on modifying clothes with hopes of making it easy. We always worked on fine motor skills and strengthening my fingers and hands. My mom experimented with adding lots of velcro or snaps to my clothing. Some things wouldn’t really be successful for me in the long term. If I need help with dressing, oh well. I need help with other tasks. What’s one more? In speech therapy, I learned to speak louder and project my voice. Part of the problem was I started out as a very shy child…unless I knew the person well or felt comfortable around my classmates. 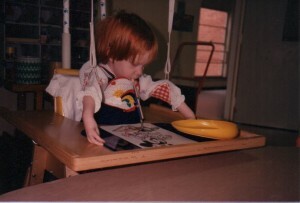 Speech therapy was not my favorite. These exercises involved yelling down the halls of my elementary school. We had to invest so much time in those early years. It was key to not just work on my body physically before I grew a lot, but to push me to persevere. I needed to learn the practical things and grow confident in my abilities. 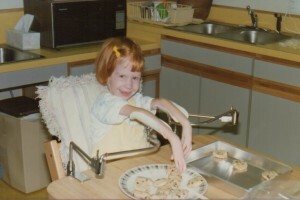 Read Understanding Arthrogryposis and A New Normal, part four.